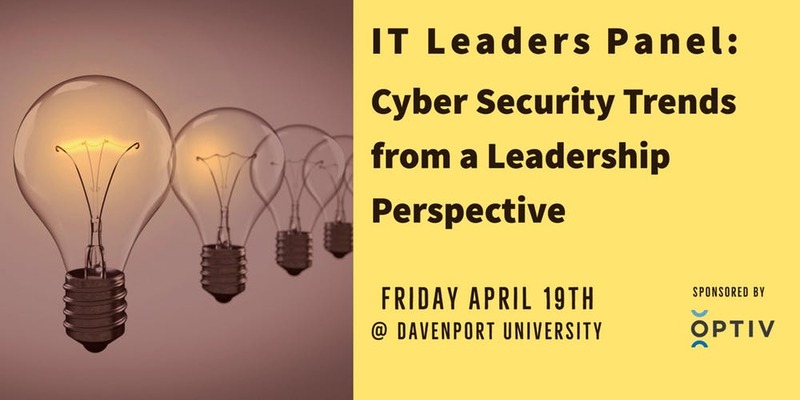 This distinguished group of leaders in the IT field (all with Information Security leadership experience) will be discussing trends concerning technical solutions, emerging threats, and their experiences and needs for the talent pipeline. They will also be discussing collaborative experiences across information technology and business units in their roles. They welcome questions from the audience as well. The panelists represent industries in healthcare, insurance, education and manufacturing but what we all have in common is our passion for cyber security, keeping our businesses safe and working collaboratively throughout our organizations. Where is this event? At Davenport University, their Lettinga Main Campus. Located at 6191 Kraft Ave SE, Grand Rapids, MI 49512. We will be in the Sneden Center Meeting Hall 3. 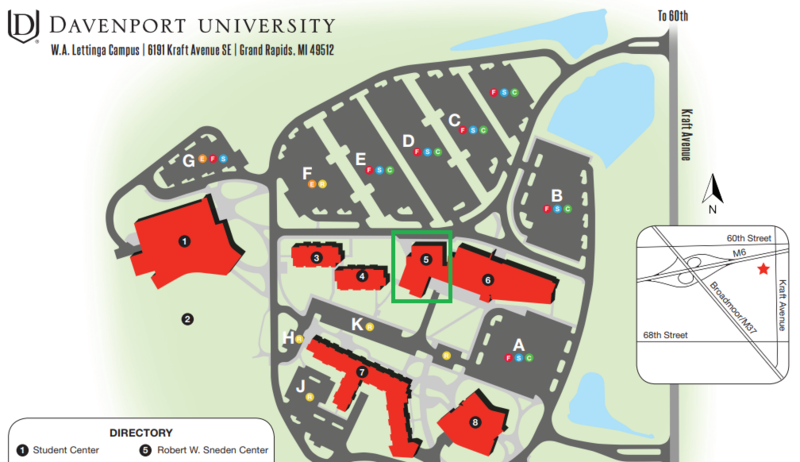 The building is squared in green by parking lot E.
Join us and invite your friends!